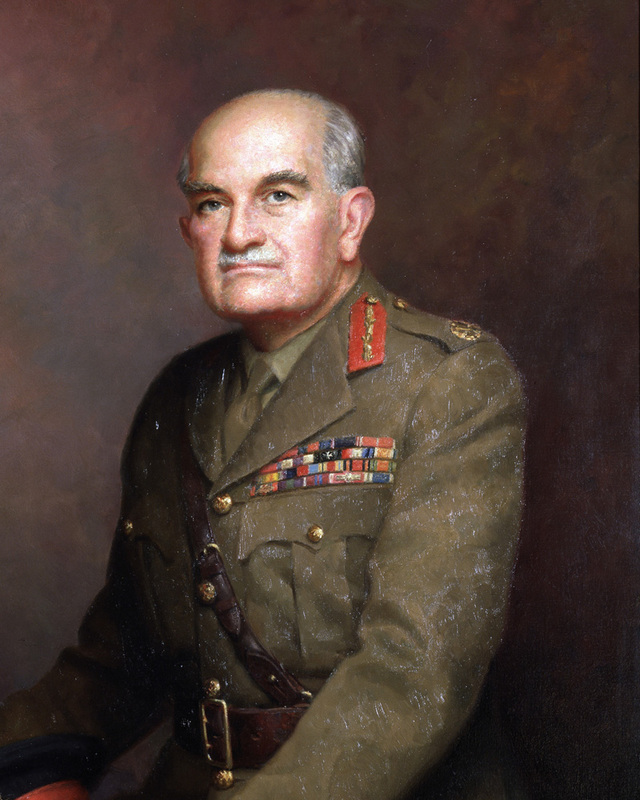 Field Marshal William Slim is best known for commanding 14th Army in Burma during the Second World War (1939-45). He inherited a disastrous situation which, with pragmatic skill and quiet charisma, he turned to ultimate victory. Slim (1891-1970) was given a temporary commission in the Royal Warwickshire Regiment in August 1914 at the start of the First World War. He served at Gallipoli, where he was wounded, and in Mesopotamia, where he gained a Military Cross. He avoided a return to civilian life by obtaining a permanent commission in the Indian Army in 1918. His inter-war career was slow, but he attended the Quetta Staff College where his performance resulted in appointments to Army Headquarters in Delhi and then Staff College, Camberley, where he taught from 1934 to 1937. Promoted to lieutenant-colonel in 1938, Slim commanded 2nd Battalion, 7th Gurkha Rifles before becoming head of the Senior Officers' School at Belgaum. As commander of the 10th Indian Brigade, Slim took part in the conquest of Abyssinia (1940-41) where he was again wounded. Promoted to major-general in June 1941, he led 10th Indian Division during the Iraq expedition, the Syria-Lebanon campaign, and the invasion of Iran. In March 1942 he was promoted to command Burma Corps, which had been chased out of Rangoon by the Japanese. Heavily outnumbered, Slim was forced to withdraw to India. But he made sure the 900-mile (1,400km) retreat did not turn into a rout, leading a controlled military withdrawal. Slim then took over XV Corps of the Eastern Army in the Arakan in April 1943. The campaign was a disaster, partly because General Noel Irwin, the Eastern Army’s commander, sidelined Slim. The subsequent fall-out led to Irwin’s dismissal and Slim’s appointment as commander of 14th Army. 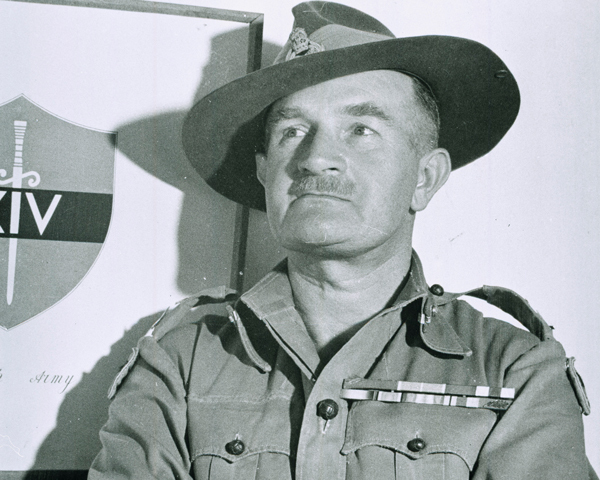 Slim emphasised the need for jungle warfare training and the use of more aggressive tactics, including the formation of defensive 'boxes' by surrounded units that were supplied by air. But perhaps his greatest contribution was that of talking to soldiers and restoring their morale. He was a fine manager of men and able to get them to do his bidding. In return, Slim's men saw him as one of them. He was above all a soldiers’ soldier. 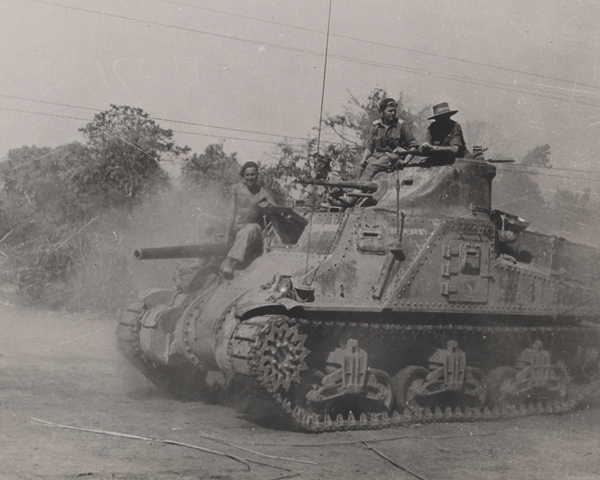 Slim undertook a partially successful attack in the Arakan in February 1944. Then, in the battles of Imphal and Kohima, he repelled a Japanese invasion of north-east India. Both campaigns demonstrated that his new approach worked. The Japanese were able to encircle the formations of 14th Army, but could not defeat them. They lost over 60,000 men and exhausted themselves in the process. Next, Slim drove the Japanese south. Fighting through the monsoon and supplied by air, his men crossed the River Chindwin, took Akyab in the Arakan, and won bridgeheads across the Irrawaddy. 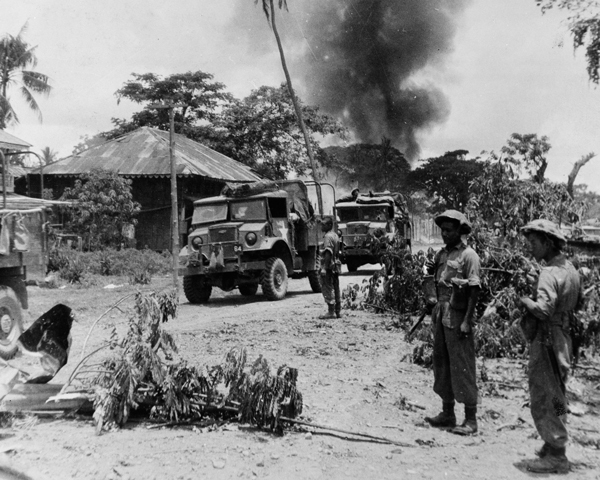 After fierce fighting, Meiktila and Mandalay were captured in March 1945. The route south to Rangoon now lay open. 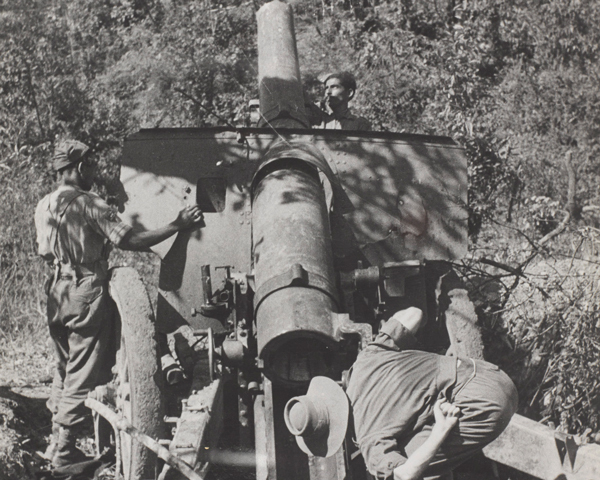 4th Corps was only 30 miles (48 km) away when the city fell to a combined air and seaborne operation in May. It was a victory won through the courage and endurance of the troops, and the superb generalship of Slim. After the war Slim was Commandant of the Imperial Defence College (1946-48) and then Chief of the Imperial General Staff (1948-52). Between 1953 and 1960 he was governor-general of Australia.